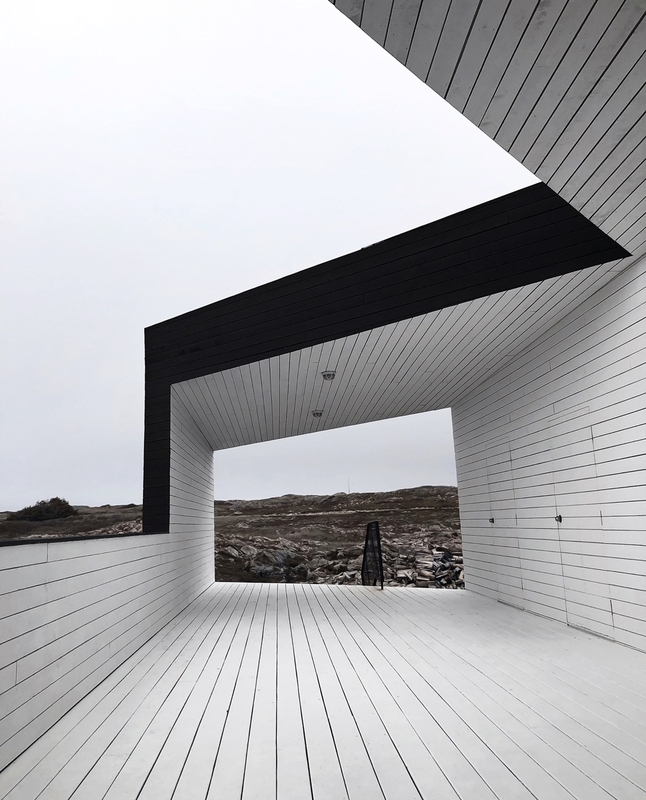 The architectural landscape centers on Fogo Island Inn, one of the most unique hotels on one of the world's most dramatic coastlines, designed by architect Todd Saunders. Also by Saunders are several art studios located throughout the small island; they house artists in residency with the Fogo Island Arts program, and like the Inn, are contemporary, contextual and rooted in community. Find more information about the Fogo Island Inn here.